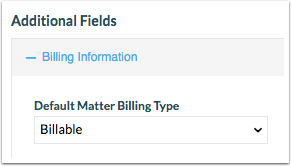 Rocket Matter Knowledge Base Additional Billing Options.What is default matter billing type? Prev: What does "no charge" mean? Next: 9 Ways to bill as you work!